Search on line using code 'AW2320C: if you find it cheaper call us! The Alphason OAKWOOD home office RANGE offers clean lines and striking stylish design solutions. 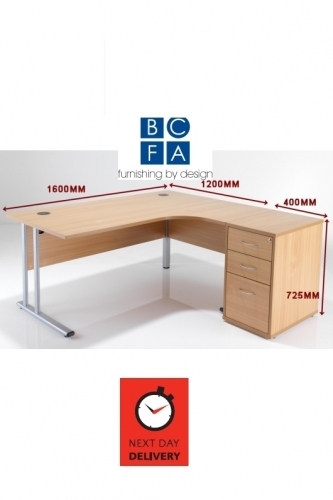 Elegant office furniture range in Oak veneer suitable for the home office. The Oakwood AW2320C corner desk is a highly stylish and practical workstation for either the home study or workplace office. The desk features a single pull-out shelf that makes an ideal location for your computer keyboard or other storage should the keyboard tray not be required. The Oakwood AW2320-C desk is finished in beautiful hard-wearing light oak veneer and will seamlessly blend into all environments both traditional and modern. The Oakwood desk is designed to be combined with many other Oakwood products in the range. The Oakwood range of office furniture combines style, practicality, flexibility and great value for money. Can be combined with other Oakwood products. Next Day Delivery available on this item for orders placed before 12 noon (*next working day)see checkout. An increasing number of people are now working from home. With all the inherent benefits. And working from home also means you get to choose not only your own hours - but also your own desk! And with the superb new office furniture collections just hitting the market from Alphason, selecting the right one could be difficult. They are all so attractive, they'll all get your vote. Alphason's extensive new Office portfolio builds on its 25 years of experience in the AV furniture and electronics market. So you can expect top quality and stylish designs. Flagship of the new products is the Hunter Collection - featuring luxurious solid wood combined with stylish modern features. Next in line is the Oakwood Collection offering a comprehensive selection from desks to storage and featuring Real Oak veneer. For a lighter less formal look opt for the Cleveland glass topped desks. Or the Harvard. Both very trendy and hi-tech looking. And if space is a problem you will love the New England hide-away cabinet which when opened, reveals CPU storage and multiple shelves. Perfect for any room of the home not least the bedroom. And if you're young and living in a bed-sit there's a cute little desk for you too. It can be a laptop desk, or a table for your supper. You choose! You'll be sitting pretty too with Alphason. 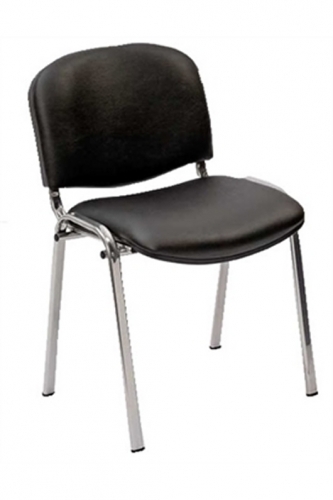 There's a whole array of comfy office chairs from which to choose from leather to mesh - all ergonomically designed for your comfort. 1) Before starting assembly please take time to familiarise yourself with the instructions and the components listed in this manual, as this product could be unstable if incorrectly installed. 2) Do not place hot or cold items against or in close proximity to any glass surface unless an adequately thick insulating material is used to prevent such items coming into contact with the glass. 3) Do not strike the glass with hard or pointed items. 4) When cleaning glass panels use a damp cloth or leather with washing up liquid or soft soap if necessary; do not use washing powders or other substances containing abrasives as these may scratch the glass. 5) Do not sit or stand upon horizontal glass surfaces. 6) In order to maintain a high quality finish, when cleaning wooden panels please use a soft cloth with a suitable furniture polish if required.